Posted on March 12, 2016 by Hector M.
Are you looking to convert an image file of some kind and want or need an image conversion software for free to use? If so, then chances are you are not alone. Everyday, millions of people go Online looking for image conversion software for free or at least for one at an affordable price. This is because there are so many different image formats from which to convert to. While the most known or used format for images are JPG, there are numerous other formats as well. Yet you do not need to spend any money or download any software in order to convert your image files or any other kind of files at all. Here on Online Convert, we offer 100% free image, video, audio and several other file conversion tools to use for totally free. What’s Your Image File Format? Image file formats come in BMP (also known as bitmap image) EPS (Encapsulated PostScript Vector Graphics) GIF (Graphics Interchange Format) and PNG (Portable Network Graphics) formats. While these are just some of the most widely known or used formats, there are many others as well. No matter what type of an image software or conversion tools people may be looking for, the formats are plentiful. However, what numerous users don’t know is that for the most part, they can convert their image files for free without having to purchase any software at all. The truth is that most of the image conversion software program makers do not want you to know about sites such as Online Convert. This is because we offer for free, the converting tools that they charge people money for. Of course, there are also other programs that are free to use to convert image or other files. Still, you need to download and install these programs in your device in order to do so. That is not the case with Online Convert. The converting tools offered here require nothing from you. 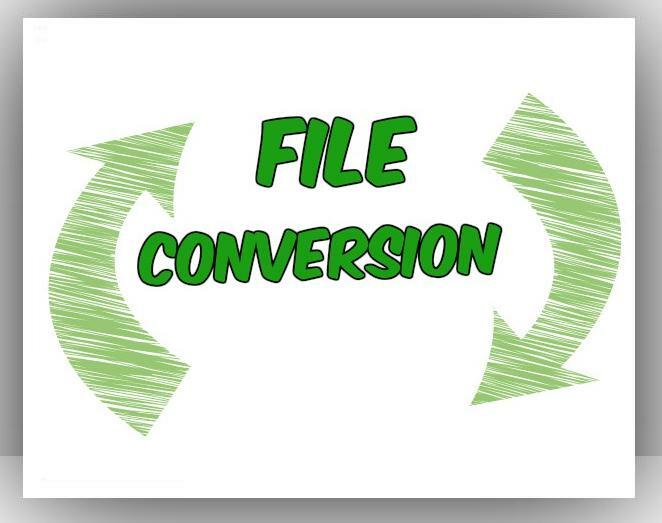 The only thing you need to do in order to convert your image or any kind of file is to simply upload the file you wish to convert to our servers. We then do all the work for you in a few simple and quick steps. Unsure about certain image file types? Then check out Image File Extensions – What Are the Differences? For now, users looking for image conversion software freeware, an open source image conversion software or any other kind of converting software can finally relax. You now know that there is no need for you to have to purchase, download or install any kind of software or program to convert your image files. Online Convert has successfully converted millions of different kinds of files for users throughout the years. Always easy to use and always free of charge. ← Prepare For Your Presentations On The Go!